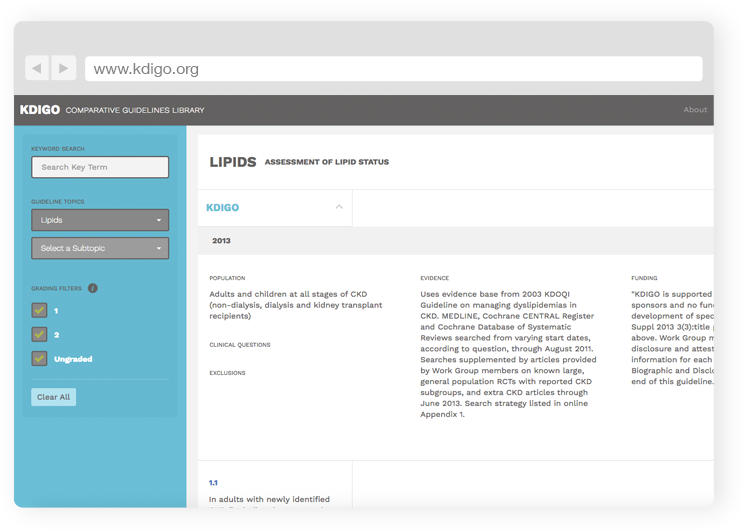 KDIGO is the global nonprofit organization developing and implementing evidence-based clinical practice guidelines in kidney disease. Improving the care and outcomes of kidney disease patients worldwide through the development and implementation of global clinical practice guidelines. Compare and contrast recommendation statements across 7 English-language guideline groups. 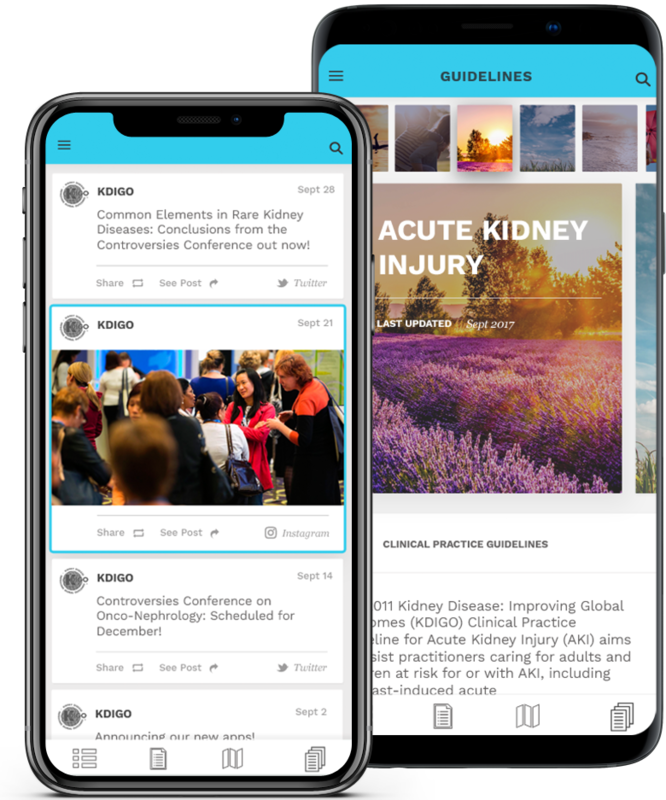 Access KDIGO Clinical Practice Guidelines on your smartphone and tablet. Recommendation statements at your fingertips. allowing me to provide the best possible information to the patients I care for. Being involved in KDIGO has been the most satisfying activity of my professional career. I truly feel that through KDIGO I can meaningfully contribute towards each patient receiving the best possible, evidence-based care.